» The Top 100 Airlines of 2017 at the World Airline Awards. See the full results. » The Top 100 Airlines of 2018 at the World Airline Awards. See the full results. » The Top 100 Airports were announced at the World Airport Awards. See the full results. » Read the article with tips on how to try and find the best airline seat on your next trip. 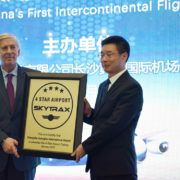 » Just ten airlines worldwide hold the prestigious 5-Star Airline Rating. The comprehensive Airline and Airport customer review site for airlines and airports across the world. Read traveller reviews and opinions for Airlines and Airports worldwide, airline lounges and airline Seats. 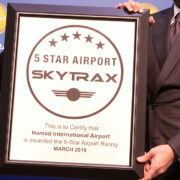 View the World Airline Star Rating and Airport Star Rating.